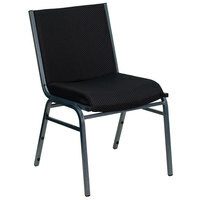 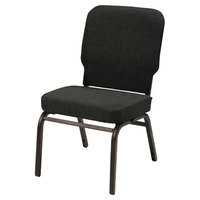 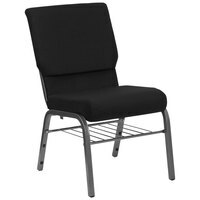 If you’re searching for the perfect chairs for your auditorium or church, these black church chairs are a great option. 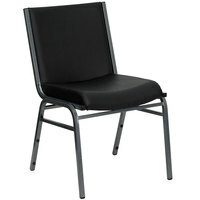 Black is a neutral color to complement any decor, and the dark color hides signs of wear and tear, like dirt and stains. 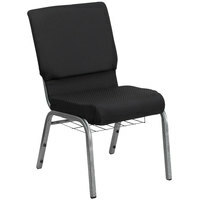 Many of these products also feature baskets beneath the seat that are designed to hold books or other items your audience might need. 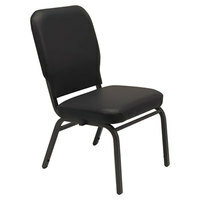 Additionally, most black auditorium chairs can be stacked to save space while not in use. 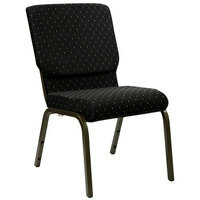 Also make sure to check out other great items from Alera and Flash Furniture. When it comes to choosing a chair color for your auditorium or church, black is a classic choice. These products are available with plain, solid-colored upholstery, or you can select an option with dots. 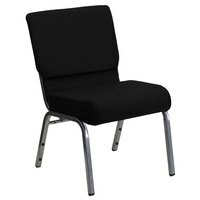 No matter what style of decor you have to work with, black church chairs can complement the look. 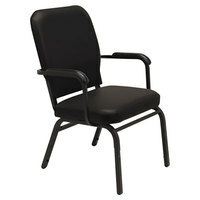 To find related products, check out our restaurant chairs, folding chairs, and office chairs. If you're wondering where to buy black church chairs, we have a large selection of black church chairs for sale at the lowest prices.